This book i amazing because it shows the reality of Tourettes syndrome. There is a girl named Calliope but they call her Calli. Calli has had a rough life and Tourettes syndrome but her mother doesn’t think she can go without a boyfriend. So oneday when her mother leaves her mother at the end of the day comes back MARRIED. Calli is not happy she just wants hermoms obsession to be over with but she has this one friend who keeps on pushing her trough the rough times his name is jinsong. i love this book all 6 graders should read this book! A while back, I read Forget Me Not by Coleen Murtagh Paratore. It’s part of the Wedding Planner’s Daughter series, and this particular installment takes place over the summer — but this post actually isn’t to recommend Forget Me Not as a beach read for the season. 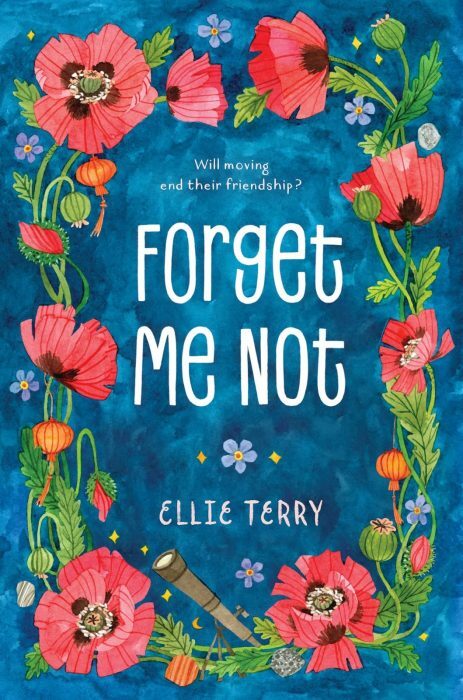 Instead, I want to recommend some of the books that the main character of Forget Me Not likes. Have you read any of these? Or do you have your own skinny-punch picks? Leave a comment and let me know!